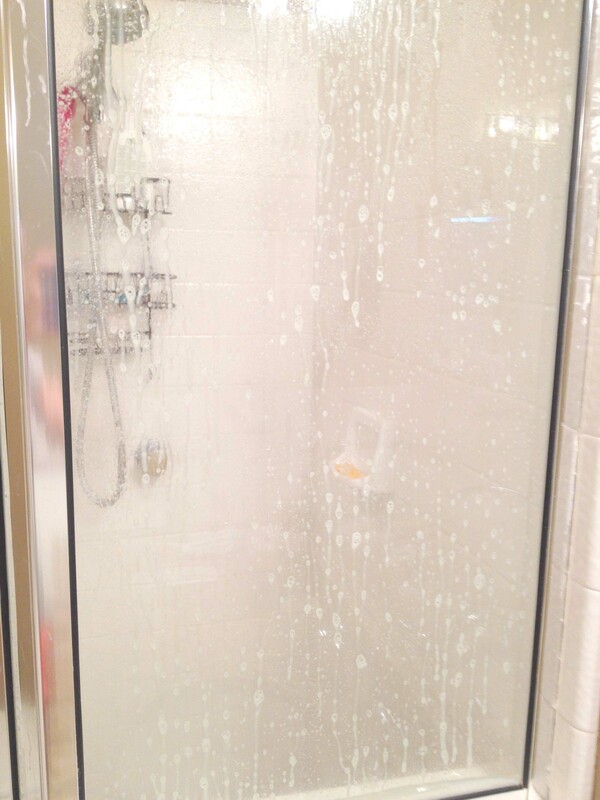 Showers | mrs. and the misc. We all have many “pins” in our Pinterest accounts. However, instead of adding new ones to the “I can do this” board, I decided to try my saved DIY’s and see if they are actually Pinterest “pass or fails”. Here is one that passes with flying colors!!! Shake Well. 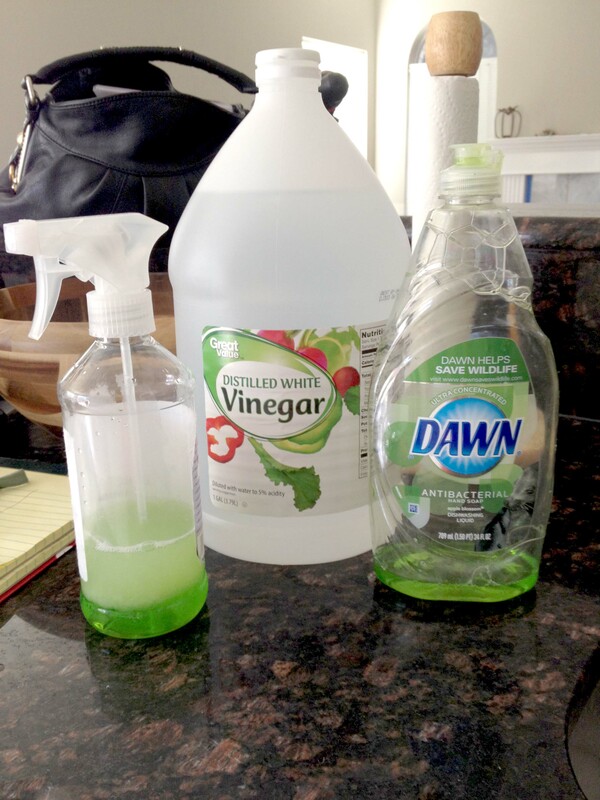 It will turn into a sort of foam inside your spray bottle. Not to worry. This is good. 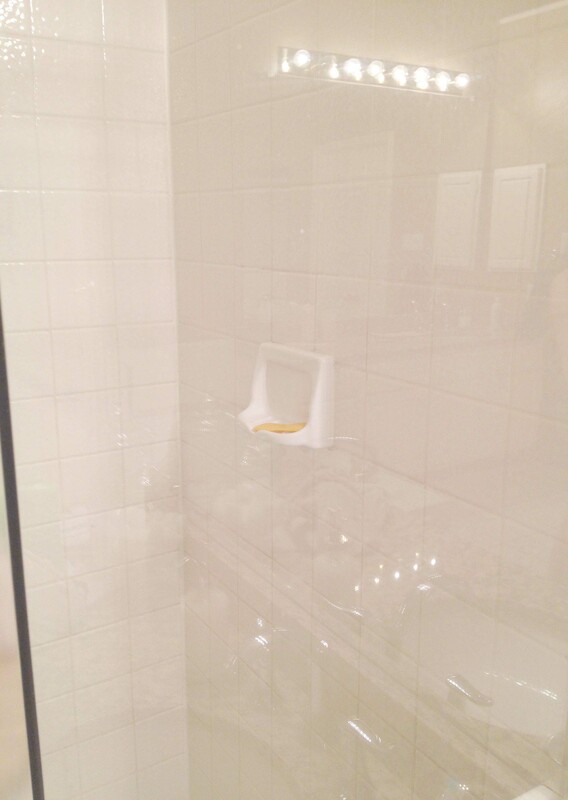 Spray glass walls on inside of shower and on tile, or bottom of tub. Leave to soak for at least 3 hours. 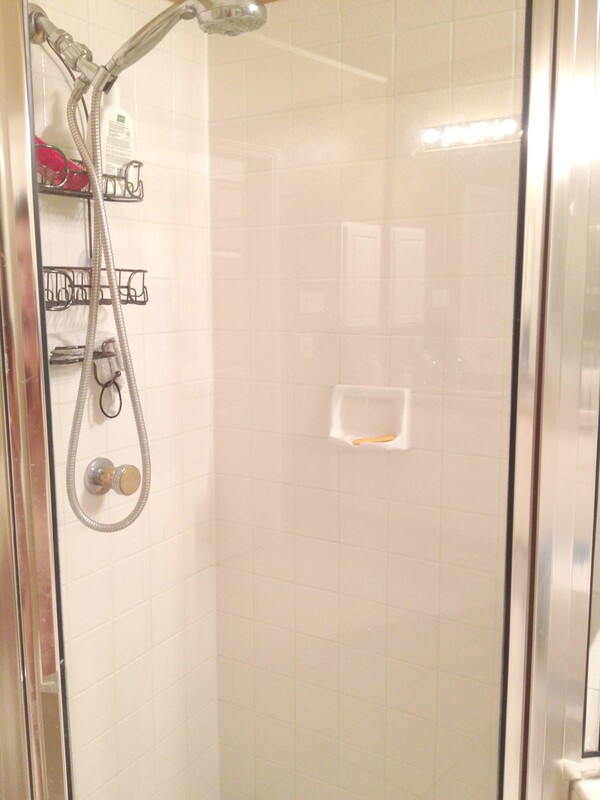 FYI: Our shower is small so I only needed 1/2 cup of white vinegar and Dawn. 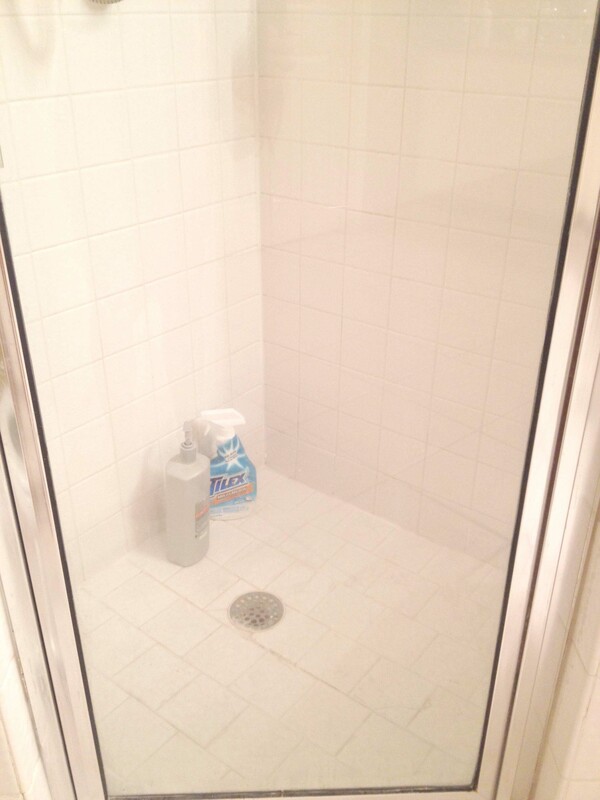 If you have a bigger shower or tub, or are wanting to clean more than one bathroom, double your formula! Also, your bathroom will smell a little weird for a couple hours after you have wiped glass and/or tile clean, but it is nothing you can’t get rid of with a nice candle. Try it and Thank me later! !